Most of my life I have suffered with a number of sleep problems - insomnia, sleepwalking and nightmares, just to name a few. When I began working overnight shifts, my sleeping disorders became worse. After I left my shift work and began working regular hours again, my disorders became something I couldn't manage in a healthy way anymore, and I eventually sought out medical help. Eventually I decided that pills were not for me. Not only did they not give me a refreshing or relaxing sleep, they also caused me to have excessive amounts of sleep, which is another disorder within itself. I started to take things into my own hands and try a few natural remedies, and eventually reached a routine that really helped. My routine mostly consists of some new products, a new attitude and a few lifestyle adjustments. As I worked shift work regularly for over six years, I was used to having a very late lunch, and then a very late dinner. Often I would get hungry mid-shift and snack on unhealthy food around midnight. This certainly didn't help when I transitioned to regular hours, as I was waking up in the middle of the night feeling hungry. I had to eventually train myself to eat earlier in the day, so as to not go to bed on a full stomach. I also had to adjust my attitude towards bed time. I was so used to going to bed whenever I felt like it, and getting to sleep all day. Not only was I missing out on hours of much needed sleep, I was also setting myself up for failure later on by not setting a proper bed time. Now, I find it hard to sleep at a regular time and even harder to wake up in the mornings in time for work. Having a bedtime routine now helps me try to go to bed at a similar time each night, which regulates my body so it knows what to expect, and finds it easier to fall asleep. Luckily I have made some adjustments and added some new products into my routine. When I was a shift worker, I was used to going to sleep with the sounds of people leaving for work and other every day sounds. Now, I hear nothing, which is a little daunting. Since downloading the Rain, Rain app on my iPhone, I've been able to listen to the gentle sounds of rain, fire crackling and other soothing sounds. 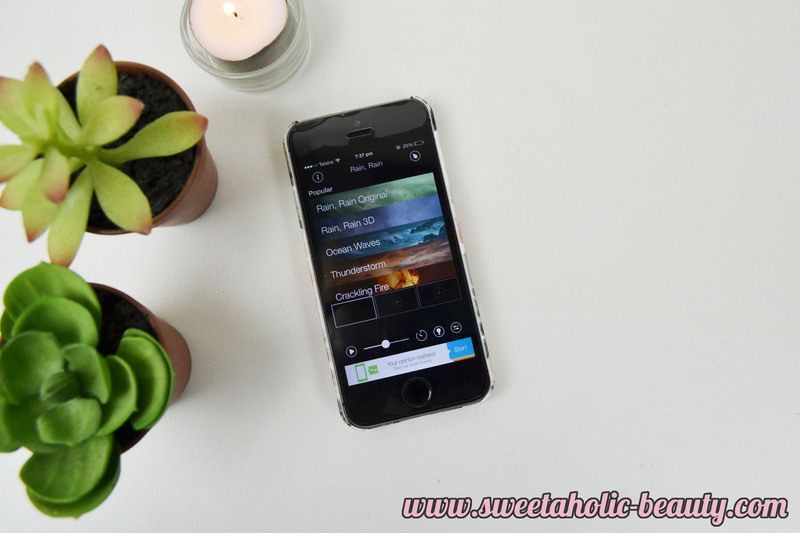 This app is really great, as you can choose three different sounds and combine them. This one also has a really cool timer feature, which means it won't drain my battery if I forget to turn it off before falling asleep. This is also a free app, and I've already introduced this to a few people who now love falling asleep to the relaxing rain sounds. Personally I'm a fan of the spiritual side of life, although I know a lot of people aren't. If you don't believe in, or don't like the idea of crystals, you can just skip this part. I have grown up with crystals and have always found them to be a great comfort. 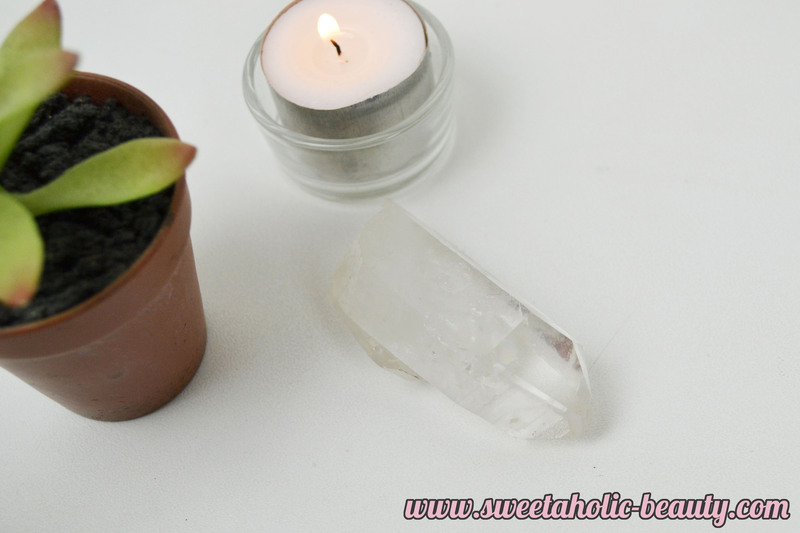 The Clear Quartz crystal represents the crown charka, which is basically your mind. This crystal is said to help draw negative energy away from your mind, and helps to balance your physical, mental and spiritual state of minds. Whether it truly helps balance my mind before bed, or it is simply a matter of the placebo effect, I find that having a crystal beside my bed, or underneath my pillow on particularly difficult nights, can really help me having a better night's sleep. I suffer from very dry lips, especially during winter, so it's imperative that I keep my lips in a healthy condition before bed. Distractions are something that can lead to not getting enough sleep, and I always found that painfully dry lips to be very distracting. 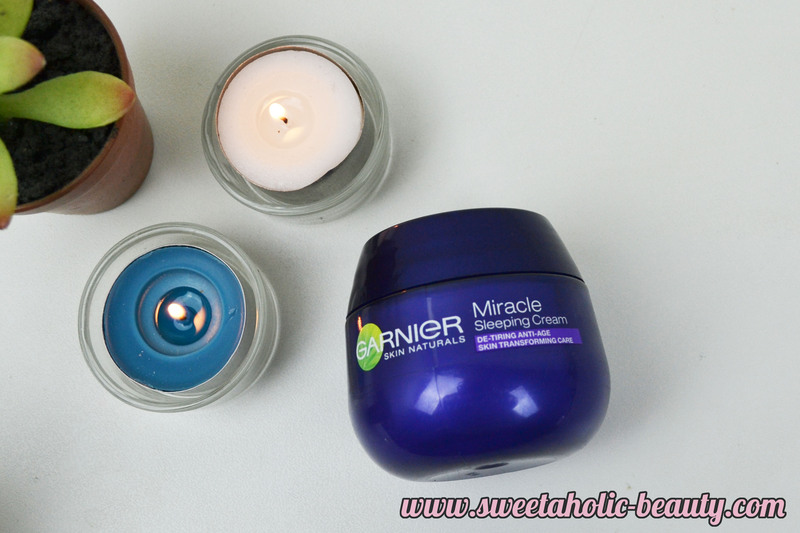 I've been ensuring to use this night repair treatment every night and I found my lips have been a lot healthier since. 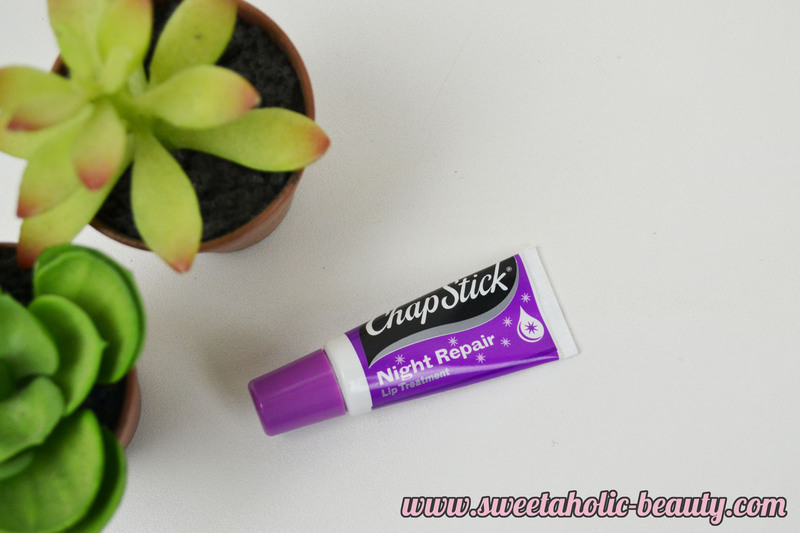 The Chapstick Night Repair Lip Treatment has no taste or scent and goes on so smoothly. My partner also likes to use this before bed now. Sadly I suffer from slightly sensitive skin, which means my skin sometimes gets itchy; especially right before sleep. Dream Cream contains a calming blend of oat milk, chamomile and lavender, which really help to relax you. I like to apply a thick layer all over, and this helps my body relax and feel moisturised before hopping under the sheets. This is a fairly lightweight cream, so it absorbs very quickly. I picked this up a while ago but didn't start utilizing it into my every day routine until the last few months. Much like Dream Cream, this also contains chamomile and lavender, as well as blended essential oils. I've been using one or two quick spritz on my pillow before bed, and found that the scent really does help get you into a relaxed state. This dries super quickly too so you don't have to worry about lying down on a wet pillow. Another product my partner has since begun using in his night-time routine. This is the newest feature of my night time regime, and I have to say it has helped a lot. I recently wrote an entire review, so I won't go on and on about how much I love this product. Also containing lavender and other essential oils, this is specifically formulated to help you have a better sleep. I've also been using The Body Shop Drops of Youth Bouncy Sleeping Mask which is very similar to this one. 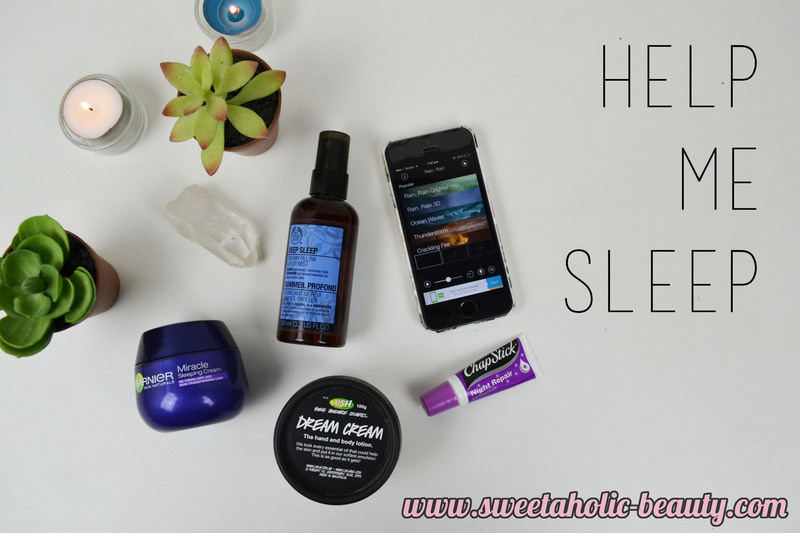 After putting all of these products together into one routine, as well as making some small lifestyle changes such as earlier eating times, clean sheets more often and light exercise before bed, I've found that I've almost completely stopped my sleep disorders. I've also found it helpful to have a nice hot bath or shower right before bed, which helps relax your muscles. Obviously everybody is different, so if you yourself are suffering from sleep disorders, feel free to try your own sleep regime, but always seek medical advise first, as I did. These are just a few products and practices that could help you have a better, deeper and more relaxed sleep. Have you got a night-time routine? Are there any products that work wonders for you? If so, I'd love to hear them and try them in my own routine. You may also be interested in my Products To Use When You're Sick post; which can help if you're suffering from the flu - something that can also stop you from having a good night's sleep! You poor thing! Do you drink Chamomile tea/sleep teas? While I sleep through anything and everything (truth - I have slept through three fire alarms), when I get stressed, I have been known to toss and turn a bit and Chamomile tea helped! That, and lavender sprays. I spray lavender mist on my pillow at night to help me sleep as when Im exhausted I tend to find it hard to fall asleep . The title of this post is too perfect for me. "Help me sleep" I think, laying in bed at 2am LOL. Wow, I can't imagine sleep walking, thankfully all I have to deal with is chronic insomnia. I've been to the doctor and also decided I'm not a clinical type of gal. I've never heard of the rain rain app, nor of LUSH's Dream Cream. I'm glad to hear it's lightweight, because LUSH's creams tend to be really moisturizing but don't absorb quickly, leaving my hands feeling greasy. I can't sleep like that! I'm going to go check out your review of the Garnier sleeping cream. I'm also interested in that! Thank you so much for sharing your sleep routine. It has helped me think of a way to tweak something about my routine. Maybe I'll share mine sometime, too. Great recommendations. I'd love to try the Dream Cream. Lavender is such a great help when it comes to relaxation - my mum used to be terrified of the dentist but had a lot of work that needed to be done on her teeth, so she put a few drops of lavender oil in a handkerchief and took it with her - worked a charm! I have tried Chamomile before and to be honest I wasn't a fan haha. I have tried other teas though and they've been sort of hit and miss, which is why I didn't include them! I know they work for heaps of people though which is great! Insomnia is absolutely the worst! Definitely check out the app, it's so helpful! I also found that with other Lush creams, they're pretty thick! 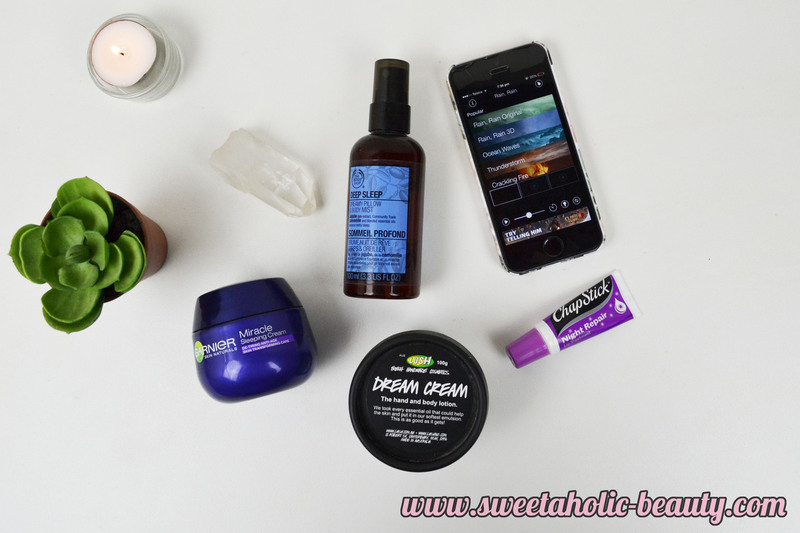 This one is definitely a more sleep-friendly lotion!